Pristine white sugar sand beaches and more than 6,000 feet of natural scenic shoreline border the emerald green waters of the Gulf of Mexico. Natural features of the park include sand pines, scrub oaks, and dune rosemary. Boardwalks provide access to the beach for swimming, sunbathing, and fishing. Four large and two small pavilions allow for picnicking and grilling. A playground is the first stop on our nature trail and is sure to be a success with the kids. The nature trail provides visitors a rare glimpse of the coastal dune ecosystem and abundant wildlife and is pet friendly. Camping at Henderson Beach State Park provides 60 campsites that are located in our secondary dune system. The sites include water and electric hookups and access to air conditioned and heated bathhouse facilities. A separate beach access boardwalk with outdoor showers are included in our campground. Henderson Beach is A.D.A accessible and includes beach wheel chair availability. Visitors can enjoy truly breathtaking sunsets while relaxing by the warm crystal clear water of the Gulf of Mexico. 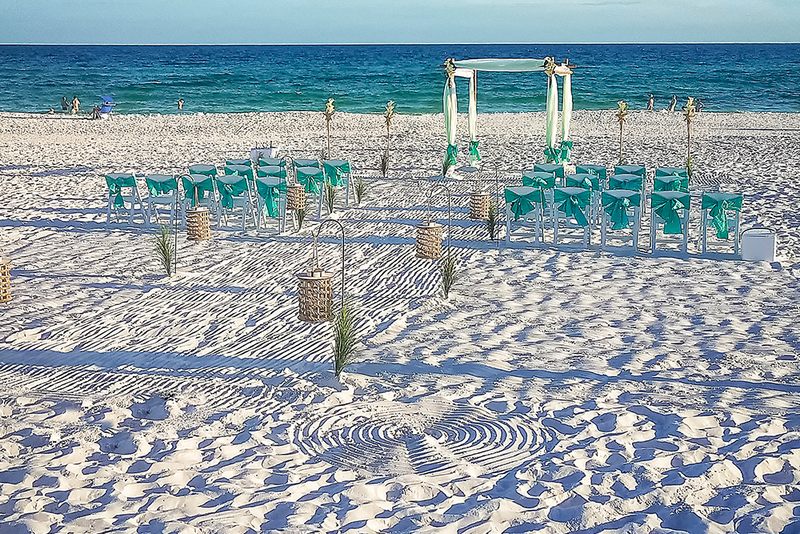 Miramar Beach – Public Access is the ideal Beach Location for medium to large weddings centrally located on Destin’s Emerald Beach. We recommend setting up on the West (front Entrance) using the first boardwalk as this is the least crowded section of the beach. Directly across Scenic Gulf Drive is an overflow parking lot which accommodates another 64 cars. A short dash to Wedding Site Zone #1 and you have arrived at one of the most pristine beaches in America! The Dune Allen Beach Access is located in the heart of the famous ’30A’ stretch of coastline that makes Destin famous. This neighborhood public beach access point is the ideal location for small to medium sized ceremonies with evening privacy and a beautiful winding boardwalk entryway. Ed Walline Regional Beach Access is located in the heart of South Walton’s Sandestin! This is a beautiful part of the State renowned for the crystal white sand and emerald blue water. Compared to other locations, the parking lot here is relatively large for a neighborhood access. Walking distance is the Gulf Place Town Center, a local shopping center full of restaurants, shopping and rental items. This beach is wider from the access point to the water than from the main road, 30A. This truly is a 5-Star destination in the middle of the action of Destin, FL. There are two shaded pavilions which could also be used as a backup location in case of inclement weather. Restrooms, ADA accessible boardwalk, free parking, showers, and a lookout tower! Dogs are allowed on this beach for the ceremony however, with limitations (must be registered with Walton County) and residency restrictions. Gulf Beach Weddings currently offers one Wedding Site at this location for your Destination Beach Wedding! If you’ve never heard of Gulfview Heights, that’s because this perfect beach wedding location is located ¼ mile off Scenic 30A. Hidden in the neighborhoods of Santa Rosa Beach, there is ample parking (22 spots) and even golf cart parking (3-4 spots). As you step down from the Overlook Boardwalk entryway onto the quartz white sand of Santa Rosa Beach, this magic and beauty of this protected beach area. Immediately to the Northwest of the Boardwalk is the nature preserve area, an ideal backdrop for pictures and privacy. Blue Mountain Beach Access is an excellent beach wedding location steps from nearby shops and restaurants. Central to Grayton Beach/Seaside to the East and Miramar Beach to the West, Blue Mountain Access is in the heart of Blue Mountain Beach! Another beautiful ‘30A’ location, this is a more popular location walking distance from the Village. Features include a platform entrance area, 22 parking spots + street parking, restrooms, and a step down boardwalk! 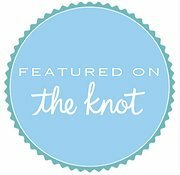 Van Ness Butler Beach Access is the ultimate Beach Wedding spot situated between Seaside and WaterColor, FL. There is a fair amount of parking here in the main lot, with the Beach Access located directly across the street. Mangroves line the walkway directly on to the beach. Additional street parking is available and the best ‘Bridal’ drop-off spot immediately before the wedding. This also provides the ultimate backdrop for Bridal Party pictures and a hidden boardwalk area just prior to the Entrance. The Santa Clara Access is the ideal residential access point for a Beach Wedding. This diamond in the rough, is blessed with angel soft, white quartz sand. The Emerald Blue water of Santa Rosa Beach make in the perfect backdrop for small to medium sized weddings. Nestled in the heart of Seagrove Beach this is one of the few beach access points with so many picture opportunities. Located along 30A, this location is hidden from view from the road, to make your Special Day feel private. Locals only beach.